I'm going to be honest - it's not often that I get around to decorating our bedroom for the holidays - like never, really. 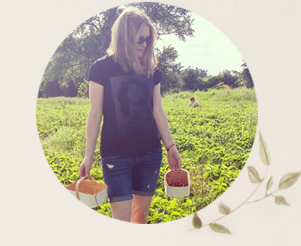 I am usually too busy tidying up clutter in the spare room, putting away the Christmas decor boxes and generally lamenting the shopping and baking I have yet to do. My daughter had hopes that we could get the entire house cleaned, organized and decorated for Christmas. But that would take an army of professionals at this point. I need to get to the mall! I did manage to add some simple holiday decor elements to the master (or principal) bedroom to cozy it up for the holidays. After all, I am planning to spend quite a bit of time snuggled up in bed with a book once the hustle and bustle of Christmas has passed. (That's the plan. We'll see how it develops.) 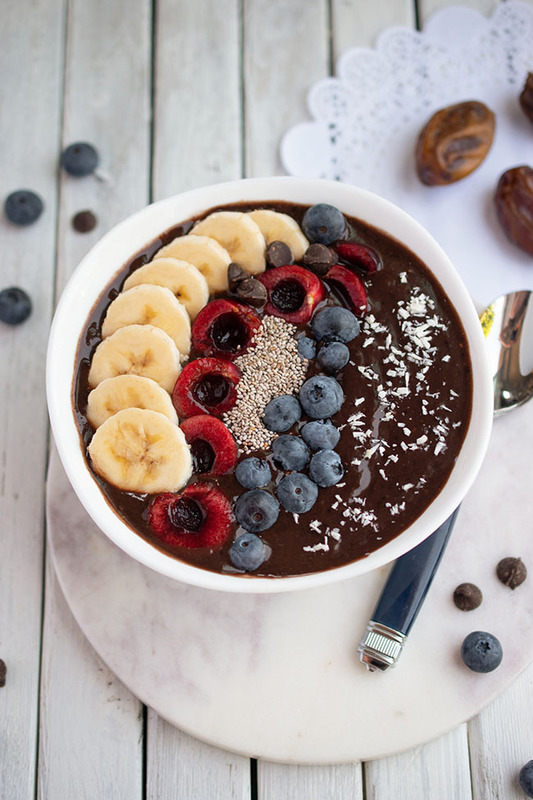 Here's how I added cozy touches quickly, without going too crazy. I visited QE Home/Quilts Etc., where I had previously got this gorgeous bedding for our everyday bedroom. 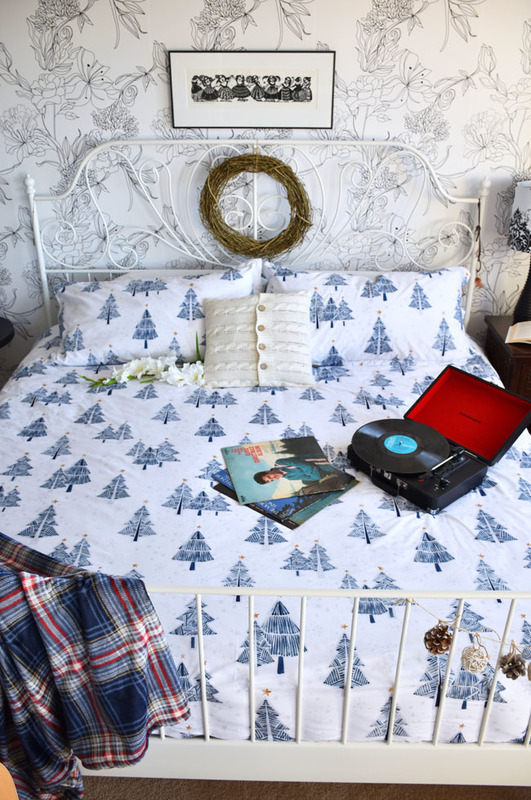 I immediately fell in love with this duvet cover, above, and its blue Christmas trees pattern. It says Christmas without beating you over the head with it, I think. It was so affordable too, at just under $30 for the king. 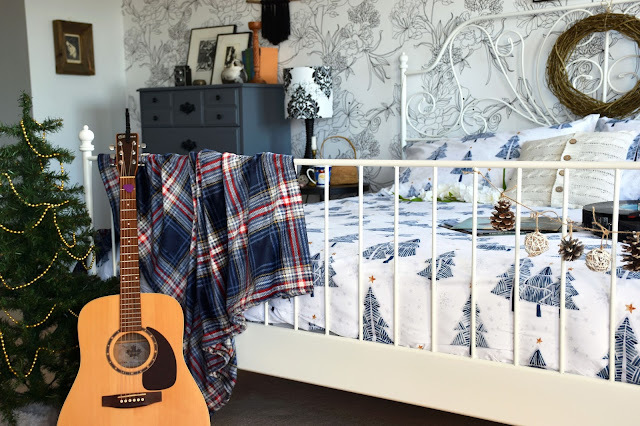 I added this nice, soft navy check throw, which coordinates well with the duvet cover. 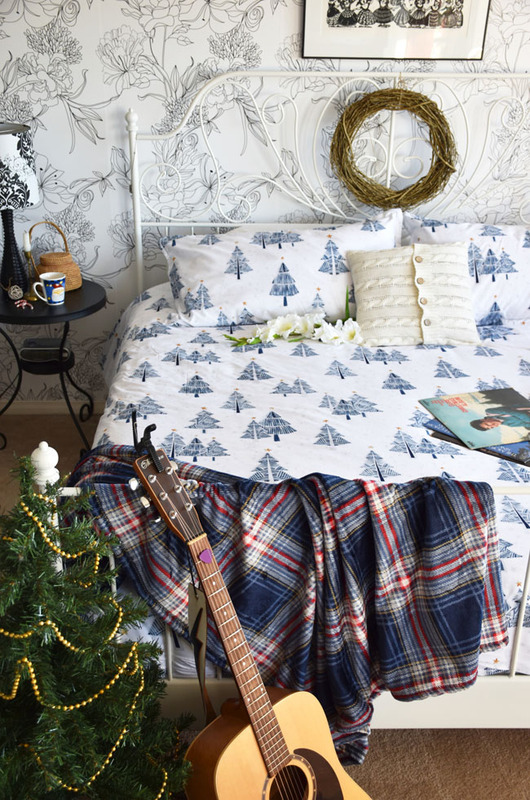 I placed a small faux Christmas tree at the foot of the bed and strung gold beaded garland around it. I switched out a regular cushion cover for this soft, cable knit square cushion cover. I tied a garland of pinecones on twine to the foot of the bed. I added a gold twig wreath to the headboard. This would be nice with a ribbon tied to it as well. Of course, there will also be cuddly dogs on the bed, and piles of books and steaming mugs of hot cocoa and tea on the bedside tables over the holidays. Oh, and Christmas cookies! Lots of those. To summarize, here are some of the decor changes I made to add a cozy holiday feel to our bedroom. 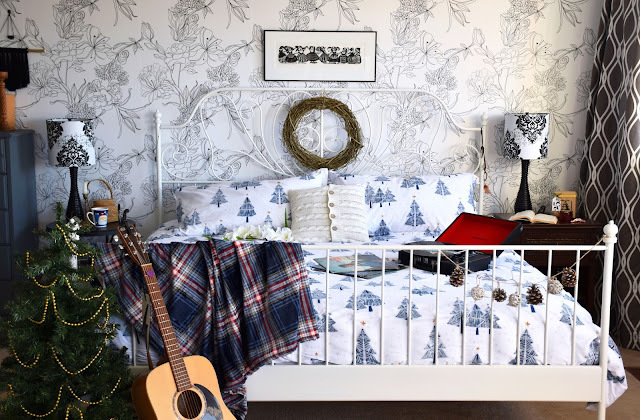 Add a wreath, garland and/or string of lights to your headboard. 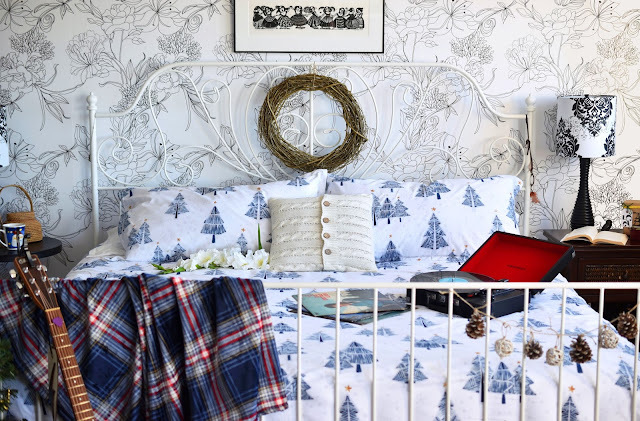 Choose a fun and inexpensive holiday duvet cover or bedspread. String pinecones on twine to hang from the foot of your bed. 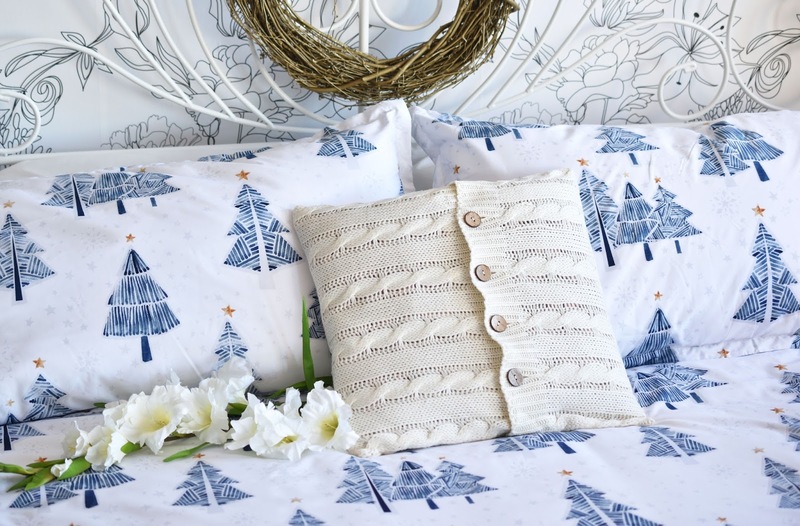 Switch out your regular cushion covers and pillowcases for cozy knits or holiday themed covers. Add a soft and comfy throw blanket (or two)! Place a small tree beside your bed - a fresh tree in a pot would be lovely! Shop your house for baskets and candle holders in warm, woodsy and/or rustic tones and textures. Place small gift boxes wrapped in kraft paper and twine on tables and chairs. How about you? Have you added any cozy and/or festive touches to your bedroom for the holidays? There are more than 70 QE Home/Quilts Etc. stores across Canada in most major towns and cities. You can also shop online at qehomelinens.com. so pretty and very welcoming !